Fluke photo-identification is a technique used to identify individual humpback whales. It involves taking photographs of the ventral side of the caudal fin (tail fluke), which varies in coloration from all white to all black, and often has an intricate pigmentation pattern, as well as having scars, lines, contours, spots, and notches that together combine to make every individual adult humpback whales’ tail fluke unique. Photo-identification of humpback whales has become the main tool used for the study, and in turn the conservation of the species. The technique allows for population abundance to be estimated, to study and analyze whale behavior, to learn more about migratory patterns and routes of humpback whales around the world, to access birth rates in different populations, and much much more. 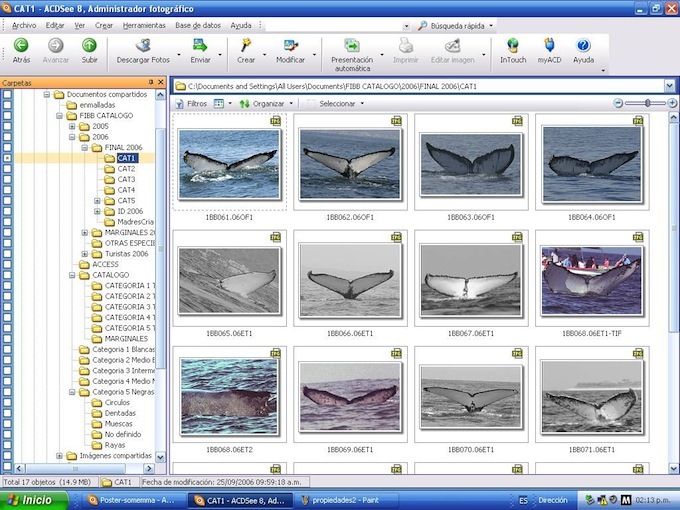 In an effort to obtain greater and more complete information for the study, conservation and protection of this species locally, in 1996 efforts were started to collect data and images for the creation of the photo-identification catalog of humpback whale of Banderas Bay (FIBB catalog). This involved the collaboration from various institutes like the Instituto Tecnológico de Bahía de Banderas and Centro Regional de Investigación Pesquera-INP Cruz de Huanacaxtle, as well as whale watching tour operators such as “Cielo Abierto”, “Discover Pacific Tours”, “Ecotours de México”, “Ocean Friendly”, “Vallarta Adventures”, “Whale Watch Vallarta”, Thalía Martínez and Nicola Ransome. Due to the fact that the different collaborators depart form different points of Banderas Bay (Puerto Vallarta, Nuevo Vallarta, Cruz de Huanacaxtle and Punta de Mita), it is estimated that at least 60% of the bay is surveyed daily, with a minimum average survey effort of 12 hours each day during the whale watching season (8th December – 23rd March). All the data is then compiled and organized using set protocols, which include recovering photos and data from the various collaborators, classifying and comparing the data to integrate into the catalog, and using the programs ACDSEE for image visualization and storage, and ACCESS to create a database. On average over 1,000 photos are collected each season, which are of sufficient quality to be able to be used to compare and identify individuals. It requires a minimum of five hours of work per photo before it is finally integrated into the catalog. 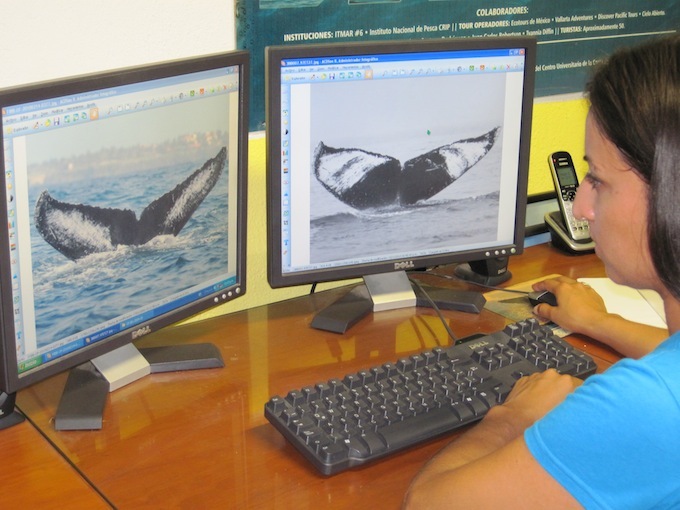 Multitemporal analysis of the relative abundance of Humpback Whale in Banderas Bay. Fernando Noriega Betancourt. Universidad Autónoma Metropolitana. México, D.F. 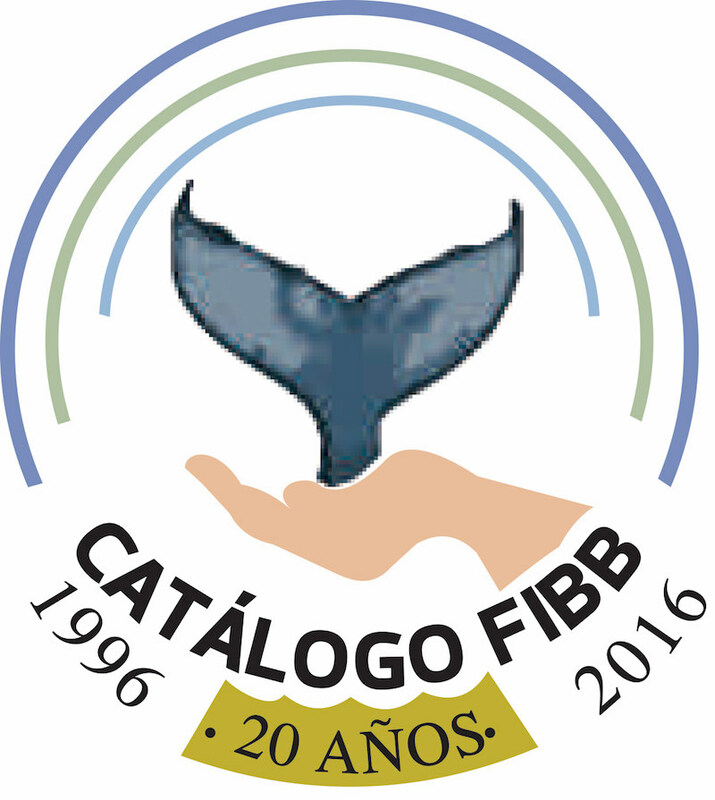 In 2006 we published a printed edition of the catalog which includes the photoidentification photos of 10 years (991 whales identified), has a chapter about the whales´s biology and behavior.